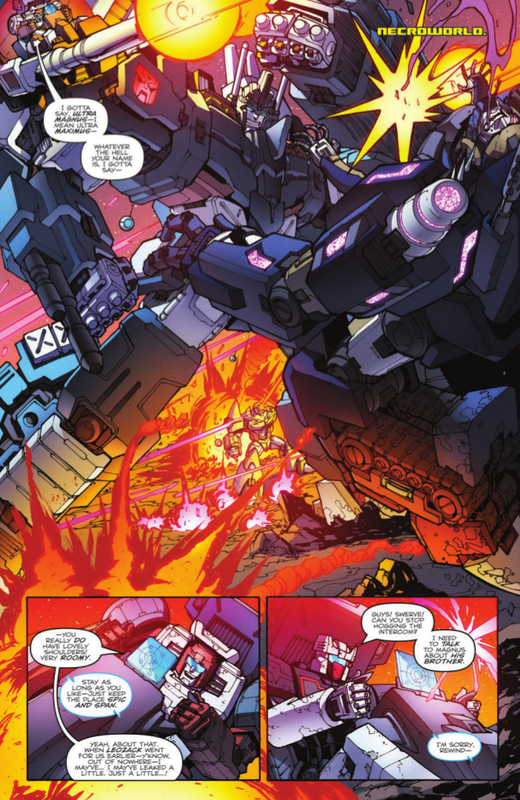 Yup its the big battle between Megatron and his Autobots team against the Decepticons in Transformers: More than Meets the Eyes # 54. Check out the synopsis and the rest of the preview after the jump. MASSACRE! The battle between the DECEPTICON Justice Division and MEGATRON’s AUTOBOTS reaches its nerve-shredding climax. Pray for your favorites-because not everyone makes it out of this issue alive. * Friends and foes alike are closing in on MEGATRON-what will he do?! 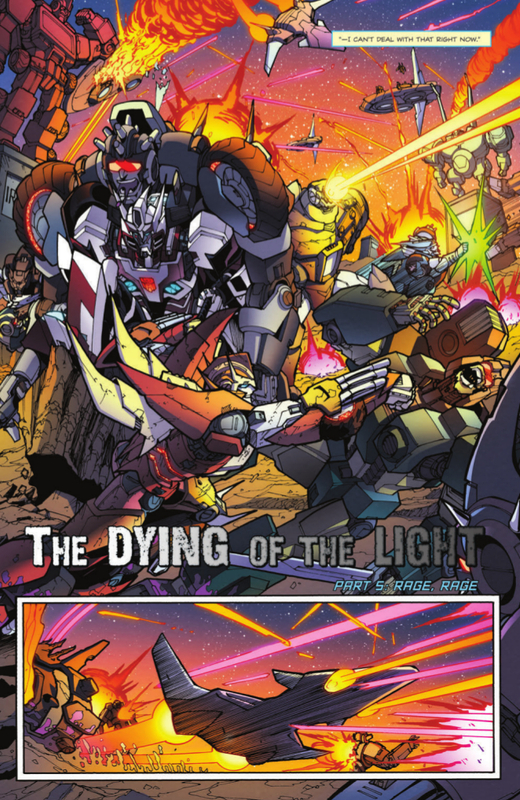 * The future of the LOST LIGHT hangs in the balance! * WINDBLADE variant cover by Sara Pitre-Durocher! 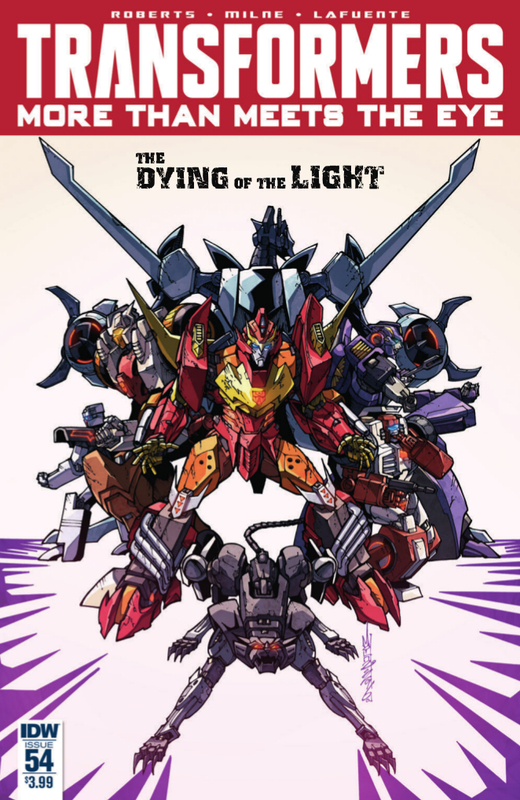 Dont forget to pick up the issue when it comes out 22nd of June from IDW.